Jenna first worked with MCT in 2015, as a volunteer with the preschool and recreation programmes at Centre Amane. Since then, Jenna has gone on to earn a Bachelor’s degree in Political Science and a diploma in Social Justice Studies, both from the University of Victoria. She also has experience working in various roles related to communications, fundraising and project management in Canada and the MENA region. 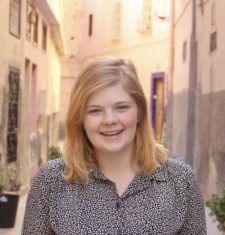 At MCT, Jenna will be in charge of marketing/communications, fundraising, the volunteer programme and overseeing the partnership between MCT and FAPE.